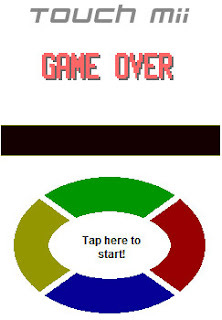 If in case you need MORE games for your DSi (or any Nintendo DS for that matter), then point your DSi Browsers to http://www.dsicade.com/ for some good old casual gaming. DSiCade is not much at to look at for now, but I see potential in there. 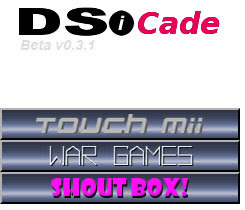 There are two games available as of this post, namely Touch Mii and War Games. Touch Mii is a simon-says-like game where you just follow the pattern the AI has set. 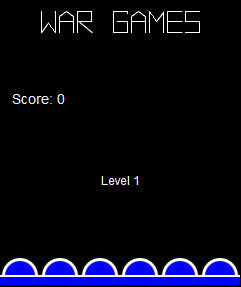 War Games on the other hand is a Missile Command clone. 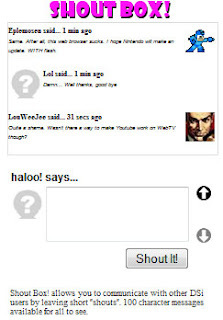 Also, there an extra awesome chat feature called SHOUTBOX! where you can converse with other DSi owners around the globe. As mentioned earlier, DSiCade has a great future. Can't wait to see more games from them soon! 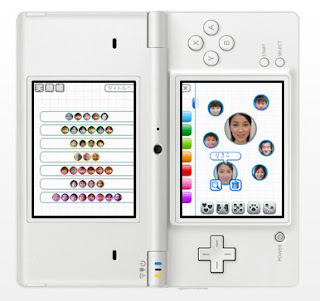 Japanese DSi owners are treated to four new DSiWare apps and games ready for download recently. Out of the four, I want two badly. Guess which they are. Chotto Magic Taizen: Date Uranai (200 Points): Need help with your date? 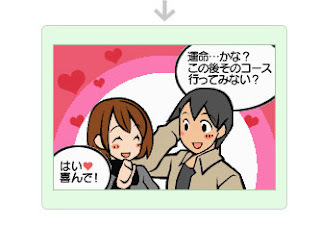 Then this new Master of Illusion trick will help determine where your special someone wants to go on a date. Itsudemo Puri-Kura Kira Deco Premium! 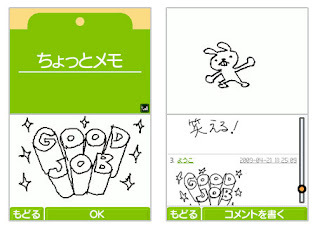 (Anytime Print Club Sparkling Deco Premium) (500 Points): This cool application is used for editing and decorating images taken from your DSi camera. You can then trade photos with your friends or transfer it on your mobile phone. 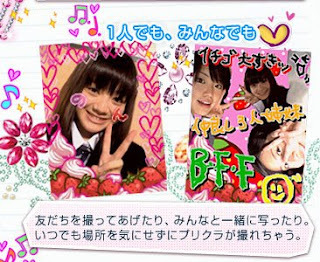 Atsumeru Egao-chou (Smile Collection Book) (500 Points): A photo album dedicating to photos of friends smiling. Yup, they have to be smiling to be in this album. There's a bunch more activities you can do with it including a compatibility test. Chotto Brain Training: Sudoku-hen (500 Points): On the more serious (and brain-aching side) this adds 200 new sudoku puzzles to Brain Training. Moving Memo Pad was also updated to version 2. You can now rate videos, make comments using drawings, and upload to channels. Is the beloved VoIP/Instant Messaging application Skype headed for the DSi? The possibility is quite high, based on this post from TechRadar. The Skype representative questioned did not give a definite yes, but did not shut down the possibility either. 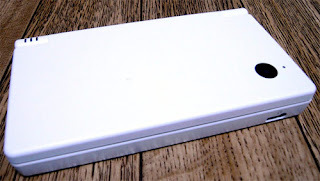 In fact the rep also said it would be technically possible to develop a Skype app for the Nintendo DSi. Sony's PSP has had Skype for some time now. 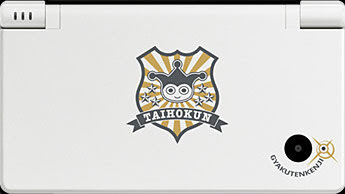 It would be another nudge for the DSi if they can pull this off. 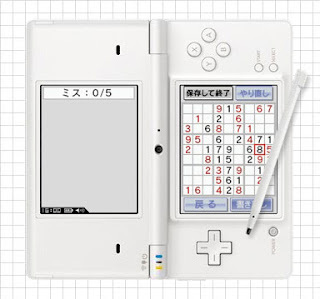 The DSi broke every sales record imaginable when it was released in Japan. Well, not really... But it did banged some numbers up! And it did so again when it was released in the US and UK, selling over 600k units! Nintendo proudly announced that the DSi sold 300,000 units in the US and another 300,000 in the UK during its launch weekend. If Dr. Kawashima taught me correctly, that's a total of 600,000!